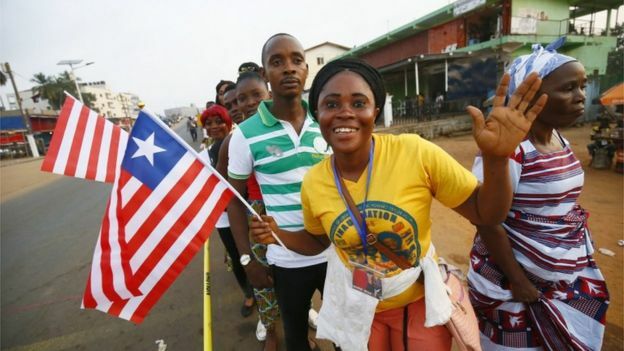 It is Liberia’s first transition between democratically-elected leaders since 1944. 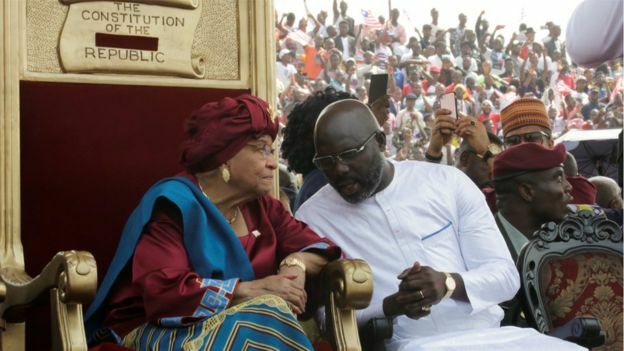 Mr Weah thanked his predecessor, Ellen Johnson Sirleaf, for bringing peace to the country after years of civil war. In his inauguration speech, Mr Weah said he couldn’t offer any “quick fixes” but rather steady progress towards the goals of Liberians. 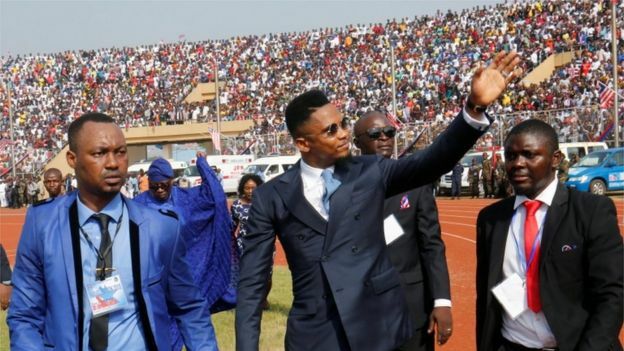 His biggest priorities, he said, would be to fight corruption and pay civil servants “a living wage,” and show the private sector that Liberia was “open for business”. 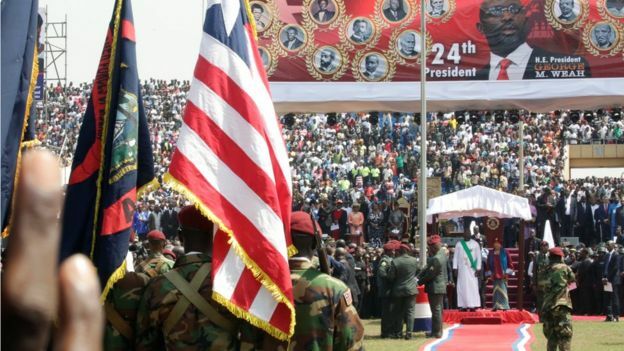 Tens of thousands of people attended the inauguration at the Samuel Doe Stadium in Monrovia, with many queuing for hours to enter.